12/13 - Update: Added item 9. Like everyone these days, I like to give my own Holiday gift recommendations. You can read my previous years recommendations here. These recommendations will probably work best for someone who loves The Sharper Image or Brookstone, and also enjoys Sci-Fi movies. There are some practical gifts in here, too. Last year I recommended the 2 GB iRiver Clix with the MTV Urge music service. 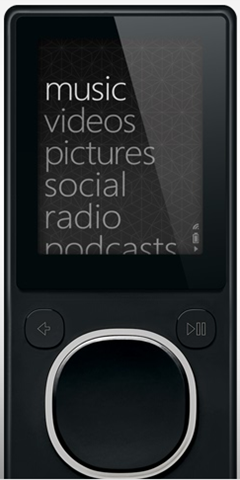 Now that Urge is no more, and now that Microsoft has released Zune v2 with the smaller 4 GB and 8 GB form factor, my new recommendation is the 8 GB "original" model. The Zune Originals website actually let you customize the back of your Zune with art, text, or both. The Zune Marketplace v2 is an improvement over v1, with a richer, lighter interface. Personally, I use the subscription service because I can download as much music as I want to my Zune for about the cost of one CD per month. Plus, you can use the subscription to listen to music on three computers. Click here for Zune purchase options. Pick up the pile of dirt, dust bunnies, Legos, or other stuff after you've swept up. Go after fruit flies, flies, or bees (you can even let the bees go after you vacuum them up). Vacuum out your car (the new Dustbuster is not as powerful as a Shop Vac, but it'll do the job. The battery lasts about 15 minutes on the lower setting). I bought the Art Asylum Classic Enterprise after reading about it on Amazon.com and a few other online stores. The customer reviews convinced me to buy one. What makes this model work is the attention to detail, like the numbers and graphics on the side of the hull, and the way the ship comes to life when you press the bridge: the engines light up, and you get to hear authentic Star Trek sound effects, including dialogue from Captain James T. Kirk. If you know a Star Trek fan, this is great gift for big and little kids. (I keep mine on my desk at work). 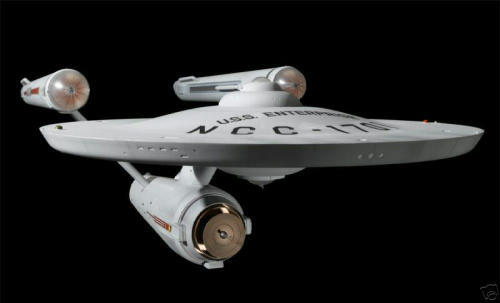 However, If money is no object, then you probably want to get the Master Replicas U.S.S. Enterprise replica (only $1,499!). These figures, which are imported from the Japanese company KOTOBUKIYA, are highly-detailed models of the famous Star Wars robots. There is some assembly required, but it's no more than snapping an arm or leg into place. This replica also sits on my desk, and I'm always noticing new details. Now that Master Replicas was purchased by Corgi, a larger toy company with shareholders and profit margins to worry about, they aren't renewing their Star Wars license. This means that you won't be able to get the incredible Force FX Lightsaber for much longer. Note that many of the Force FX models are sold out. I have the Darth Vader model, and it's one of the coolest "toys" I've ever bought. Whenever I fire it up, my kids go crazy. Well worth the $119. If you've never tried an electric shaver, you should. I own a Norelco 8170 XL model, and it's amazing. Instead of shaving at home, I shave on my way into work in the car (I'm in a lot of traffic). Sometimes people stare at me, but I don't care. If you're one of those people who suffers from chronic back pain, the True-back device is something you should try. As you lie down on it, the track in the middle of the device actually puts your spine in traction, while at the same time stretching your back. When my back is bothering me, this is the first device I turn to. 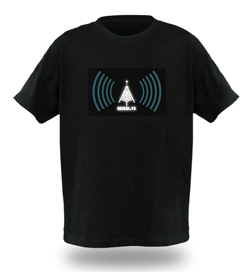 The idea of a shirt that lights up when it senses a Wi-Fi signal is novel to say the least. I wondered how they did it, but then I saw that it does use 3 AAA batteries. This one made it on the list of the Skymall "dumbest item of all time," but I think it's kind of cool. For those drummers (and non-drummers) who want to play at work, this looks like a good choice.